Children perform ‘red songs’ to mark the 90th Anniversary of the Communist Party of China, in Chengdu, Sichuan province, June 29, 2011. This piece was first published on the NYR Daily on June 18, 2018. Guo Yuhua is one of China’s best-known sociologists and most incisive government critics. A professor at Tsinghua University in Beijing, she has devoted her career to researching human suffering in Chinese society, especially that of peasants, the promised beneficiaries of Communist rule. Born in 1956, Guo grew up in one of the “big courtyards” of government housing compounds for the country’s ruling elite. Her parents were military officers who served in the central government. During the Cultural Revolution from 1966 to 1976, senior leaders like her father were persecuted; he died in 1968 of liver cirrhosis after being denied medication. Moderates in the government eventually deployed the military to recover control of government institutions from Maoist fanatics. They also allowed some minors to join the military—a privilege that allowed these youths to avoid being exiled under Cultural Revolution dictates to labor in the countryside. Thus, at just 14, Guo joined the signal corps, for which she worked at repairing communication equipment in the southern-central city of Wuhan, until she was allowed to return to Beijing in 1980 to study. Typical for people of her age who lost years of their lives laboring in exile, she was an older student, gaining admission to university at 24. She studied folklore at Beijing Normal University and obtained her doctorate in 1990. She joined the Chinese Academy of Social Sciences, and moved to Tsinghua University in 2000. Guo is best known for Shoukuren de Jiangshu: Jicun Lishu yu Yi Zhong Wenming de Luoji (The Narration of the Peasant: How Can “Suffering” Become History? ), a book published in 2013 in Hong Kong but banned in China. It tells the story of a village in Shaanxi Province that the Communists occupied in the late 1940s, and then, over decades, put through a series of torturous social experiments—an allegory for what took place across much of the country. Her research on rural communities, and the relationship between the state and society, has led Guo to become a sharp commentator on current events. She publishes an oft-censored web blog, as well as a microblog titled “Yuhua Watches Society” on the social media app WeChat. I spoke to her in March, in Beijing. Ian Johnson: In 2016, Xi Jinping made a speech offering a “China solution to humanity’s search for better social institutions.” In early March, you posted an essay on WeChat saying all you wanted was for China to become a “normal country,” one that respected rule of law, freedom of speech, and other liberties—in other words, one that didn’t justify authoritarianism as Chinese exceptionalism. How did your piece come about—and how ever did it get published? Guo Yuhua: There’s a magazine called China and World Affairs that’s run by a think tank based at Tsinghua University. They sponsor talks dominated by leftists, but occasionally they have so-called right-wingers like myself. At the end of 2016, they had a discussion on the “China solution.” Everyone got 10 minutes to present their papers and then we left. There was no discussion? That’s strange! It’s not strange. Of course, they can’t have a discussion. If there were a discussion, people would’ve come to blows! My point was simple. In my heart, [I feel that] the Chinese model doesn’t have any special characteristics. It doesn’t offer anything special. And I don’t have high standards. All I want is for China to be a normal country. What do I mean by “normal?” I just want China not to go backwards. Just don’t get any worse, that’s all I’m asking for. No. I tried and tried. I said, “Look, it’s been published by this academic magazine so why not publish it?” Finally, they relented if I changed the title. So I called it: “Chairman Xi Jinping Discusses a ‘China Solution’ While Celebrating the 95th Anniversary of the Founding of the Communist Party of China.” And it worked! How did someone like you manage to open a public account on WeChat? Your personal censor! Why does Tencent do it? What’s in it for them? You recently spoke at the Unirule Institute of Economics [a Beijing-based independent think tank]. . . Even Unirule is in trouble. They used to be [centrally located] at the Chongwen Gate. Now they’re out in [the suburbs of] Haidian Balizhuang. It’s in a small residential community. The gateway was full of security guards. They wouldn’t let me go into the building. I said, “Stop it,” and they said, “Well, at least register and give your phone number.” So I did. When did you start commenting on daily life? I had a blog in 2009 and in 2010 opened a Weibo [microblog] account, but that account has been blocked 74 times. It has more viewers than the blog so that might account for their actions. That’s probably because blogs are more public than WeChat accounts. It’s hard to tell who’s reading a blog, but to read your WeChat public account people have to register, so the government can keep track of its readers? Why did you start commenting on public events? I started in about 2010, maybe because I deal with sociology. You’re often dealing with trends or hot topics in society. All of them have a sociological angle and you can use a sociological analysis to write and publish on them. In this society, everything that seems impossible or completely weird actually does happen, so how can you not comment on it? Sometimes, you feel you can’t tolerate it—you have to speak out. And if you’re looking at the people in society who are suffering, well, they’re so pitiful. It’s intolerable. You feel you can’t help them in another way, so at least you can try to publicize it and get a public reaction. In fact, you aren’t really helping them, but you feel you have to speak. Does your concern come from researching suffering in society? That’s one reason, but I also research how society itself develops. I look not just at peasants, but also at rural migrants and people who try to represent them: human rights movements or NGOs. It’s the development of civil society. If you research Chinese society and you see the corruption or the abuse of power and the evil . . . well, society can’t continue on that path. It needs some healthy force. So where does that start? It starts in the daily actions of ordinary people. It starts in how they live and organize. How they take responsibility for organizing their lives. All my research has to do with that. Someone you mention often is Pierre Bourdieu. You wrote that his work of listening to people and entering into their lives is part of a sociologist’s “political and moral mission—to reveal the deep roots of social suffering of ordinary people.” Why does this interest you? I wanted to know how villagers had experienced the last 50 years. Ji Village was in the Communist Party’s base area in the war—it was located in Northern Shaanxi Province, near [the Communist base of] Yan’an. As you probably know, people there live in caves. It’s the Loess Plateau and famous for its caves. In this village, the main family was surnamed Ma. One of their sons went to Japan to study architecture and when he came back he designed a magnificent cave complex for his family. But before the Ma family could occupy it, Mao expropriated it. He lived there for several months. He wrote some of his key essays there. I see in this the same expropriation that the Communist Party has imposed on China’s history and rituals. Memory has been occupied. If you go to today’s villagers and ask them the name of that cave, they’ll say, “Chairman Mao’s Old Home.” No one will say the Ma Family Home. In China, this is common. You wrote in the introduction to that book that it wasn’t your job to speak for others, but to give them a channel to speak. No one should represent another person. If they don’t have a chance to speak, it’s because the Communist Party doesn’t allow them to speak. You started your academic career looking at funeral rituals in northwestern China. What is the broader significance of rituals? The entire structure of Chinese society consists of political and revolutionary rituals replacing original folk rituals. The original rituals that people once practiced—such as burial rituals—weren’t allowed. The government said it was backward, superstitious, and wasteful. But the Chinese Communist Party, in running the villages—and even in running the entire country—governs through political rituals such as struggle sessions, chanted slogans, military parades. They’re all rituals and they all replaced folk rituals. In the Cultural Revolution, every family got a wired loudspeaker, and every morning and evening began with the broadcasting of revolutionary songs, articles criticizing people, central government instructions, or local news. This became all-pervasive. Nothing in the Qing Dynasty [1644–1911] or the Republican Era [1912–1949] was comparable. Only the Communist Party pushed it to the grassroots level of every family having this. They need rituals in order to rule. It’s like the Nazis with those rallies where everyone is marching as one. They need those kinds of things. But originally folk beliefs were diverse. Yet the Communist Party can’t leave this alone. They want everything to be systematized. But now the government is promoting “intangible cultural heritage,” a term UNESCO uses to mean rituals or music. It’s trying to revive these old folk traditions that it once tried to destroy. Isn’t this a good thing? When the government pushes things like this, it has two goals: to make money or to say it’s a “treasure of Chinese culture.” But they destroyed real Chinese culture. Today, they need Confucius to legitimize their rule, so they trot out Confucius. But they don’t admit that in the Cultural Revolution they smashed all the Confucian temples and statues. It’s utilitarian. It’s beneficial for their rule. But what faith do they really have? What faith can the Communist Party possibly have? They’re mixing up everything in Chinese people’s heads. How does this play out at universities? Do you think students today are more gullible than in the past? Overall, they’re worse. But there are some who want to figure things out. To win admission to Peking University or Tsinghua University, they can’t be idiots. Especially in science or technology, they’re smart. But when it comes to ideology, they don’t have the common sense of a child. Because you have to understand that from the time they were in kindergarten, they’ve been brainwashed. But you’re still able to teach? It’s fine, but I’ll be 62 in July. They forced [the prominent Tsinghua historian and critic] Qin Hui to retire at 63. In the last couple of years, a lot of people [in Beijing universities and research institutes] have been asked to retire at age 60. About one hundred, in all. And if you look at them, most were liberal intellectuals. Many don’t realize how few public intellectuals in China are keeping up the struggle. Don’t bother counting [how many there are]. You know why I really don’t like the extreme left? It’s not just that they’re stupid. It’s that they’re evil. I’ve been denounced by them for what I said in what I thought was a closed session. They have reported on me, and the school asks me to answer for it. It’s happened more than once. But I can handle it. I am a bit tougher. 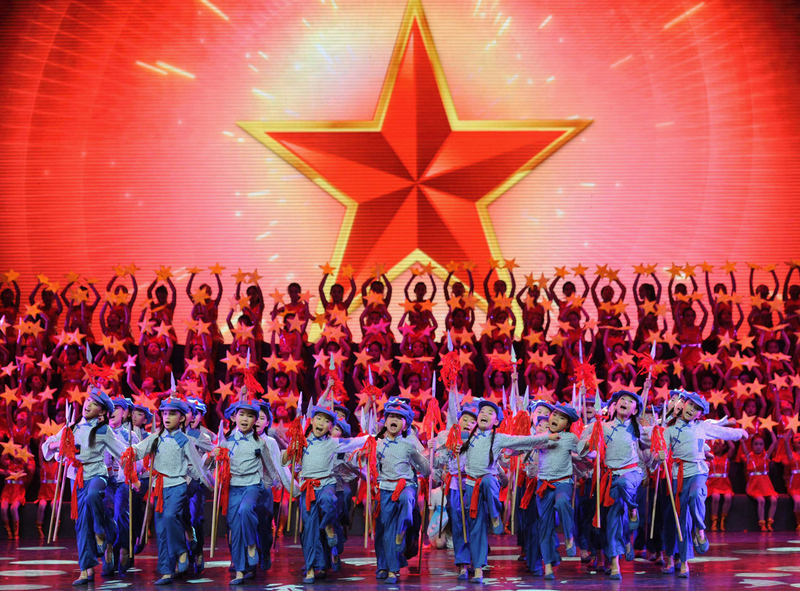 Those on the left in China are often fêted as standing up to capitalism or the West. In China, everyone criticizes the market and capitalism. That’s really easy. That’s safe. But that’s not China’s problem. The problem isn’t capitalism. It’s power. This interview, part of Ian Johnson’s continuing NYR Daily series “Talking About China,” was supported by a grant from the Pulitzer Center on Crisis Reporting.